In 2005 the AAAOM endorsed a bill that stamped NADA out of South Carolina. Top acu-addictions expert Alan Trachtenberg pins protectionist policies on acu-guild interests. “Continue to give strength and wisdom to those burdened with leadership and decisions….” from a prayer read to South Carolina House Representatives March 27, 2003, hours before the Herbkersman bill was introduced. Some say it takes a lottery ticket to do great things. Others say it takes great leaders. Last March, a local paper asked one South Carolina NADA-trained acupuncturist what he would do if he won the lottery. Affordable acupuncture for the addicted was the dream he described. Today, no known South Carolina licensed acupuncturists (LAcs) work in addictions treatment. But in years past, without waiting for a lottery win, NADA style treatment did exist in the state. Addiction patients benefitted from the services of non-LAc, NADA-trained Acu Detox Specialists (ADSes). That is, until a new state law took away that option. Proponent LAc’s claim the 2005 law spells progress for themselves and turf-checks physicians who must now be authorized by another acu guild authorizing body (the National Certification Commission for Acupuncture and Oriental Medicine (NCCAOM)) in order to practice acupuncture. The bill also eliminates the need for LAcs to be supervised or referred by a physician, a big step in a state where, years earlier, LAcs worked only under on-site “direct supervision” of an MD. The new law now authorized LAcs to dictate on-site “direct supervision” for all ADSes, a glaring anti-NADA policy. As a result, South Carolina NADA trained workers say they cannot needle because their agencies cannot afford to hire an on-site LAc. Why should ADSes need on-site direct supervision? Guidepoints asks a leading acupuncture and addictions researcher. “There’s no reason,” replies Alan Trachtenberg, who organized the 1997 National Institute of Health Consensus Development Conference on acupuncture and headed their Office of Alternative Medicine (precursor to the National Center for Complementary and Alternative Medicine). He attributes protectionist laws, like South Carolina’s, which also bans physicians from providing acupuncture care, to the interests of acupuncture guilds. Meanwhile, several NADA members point to a former acupuncture guild leader, AAAOM Ex-President Martin Herbkersman, as the driving force behind cutting ADSes out of the state. The Columbia-based LAc denies this allegation and blames the insertion of “direct supervision” on an unnamed legislator. However, his brother, Rep. William Herbkersman was a legislator at this time, and was, in fact, co-sponsor of the bill. Furthermore, Acupuncture Today(April, 2005) applauds the family pair as successful engineers of the bill. The bill’s original text includes the anti-NADA language when introduced on March 27, 2003. To read the full text of the bill, go to: http://www.scstatehouse.gov/sess115_2003-2004/bills/3891.htm. Herbkersman affirms that the AAAOM gave the authors of H3891 access to model legislation templates around the country, in particular nearby southeastern states. One local LAc (the source would like to remain unnamed out of fear of provoking controversy) reports that Herbkersman said the 2005 bill was based on a failed 2002 South Carolina acupuncture law which was taken from a Georgia law (see Guidepoints, May 2002). Both of these laws included “direct supervision.” In Georgia, mirroring its neighbor, no known non-LAc ADSes practice. The AAAOM appears in perfect accord with the anti-NADA language of the 2003 bill. “Yes they should have direct supervision because they’re technicians, not acupuncturists,” says sitting AAAOM President Deborah Lincoln. Meanwhile, Mina Larson, the public relations spokeswoman for NCCAOM (AAAOM counterpart), goes so far as to assert that all ADSes “should be licensed as acupuncturists” before needling the ear. AAAOM guild leader Lincoln explains their anti-NADA law was “based on one we put together for national consensus.” Her predecessor, Martin Herbkersman, refuses to believe that his law should necessarily rub NADA off the map, a state of denial to which the NCCAOM also clings. Both praise the recently passed anti-NADA Delaware acupuncture law as “ideal legislation” even though it outlaws the practice of 19 veteran ADSes, many of whom had delivered acu care to thousands of under-served clients since 1993. Opportunities were likewise smothered by the bill’s demand for ADSes to complete NCCAOM’s clean needle technique course required for full body acupuncturists. To pass the course, South Carolina ADSeswould have to needle full body points, points for which they are prohibited by the same law to needle. Ken, who is a medical doctor, responds that NADA trainees do not learn and are not authorized to needle points other than the five-point protocol; the NCCAOM clean needle course is absolutely outside their scope of practice. He laments the lost foothold of the 56 non-LAc South Carolina ADSes, many of whom he personally trained and mentored. They worked in churches, hospitals, dual diagnosis programs, a medical school and a pain clinic. In a state named “conservative in many ways” by Herbkersman, ADSes had to confront many insular elements in their pioneering. However, no obstacles blocked their progress like his bill, H 3891. At the conclusion of the Guidepoints interview, Herbkersman requested he not be credited as the bill’s author. Martin Herbkersman’s acupuncture law continues to prevent Chuck Bagley from treating prisoners and 12-steppers with acu detox. The AAAOM remains silent on how they achieved consensus before endorsing the Herbkersman anti-NADA law. Several sources tell Guidepoints that the AAAOM is not anti-NADA. “Then I saw that wisdom excels folly as light excels darkness,” Ecclesiastes 2:13, read to the South Carolina Senate before Sen. Robert W. Hayes, Jr. requested to allow general supervision of ADSes, Wednesday, April 23, 2008. “It’s one of South Carolina’s crazy laws,” remarks paramedic Chuck Bagley of the Herbkersman bill (H 3891). The law “most likely” had national consensus on its side, or at least that is what acupuncture guild leader Deborah Lincoln recalled in a Guidepoints interview in January 2010. Guidepoints has since asked Lincoln to explain how national consensus was obtained but received no answer yet. One thing is clear: NADA was never consulted. In April, she stepped down as president of the American Association of Acupuncture and Oriental Medicine (AAAOM). In his 20-year paramedic/EMT career Chuck cannot recall once when he was required to be supervised directly by an on-site physician, let alone a LAc, to perform his duties. “If they let me put a chest tube into your chest, why won’t they let me stick a needle in your ear?” Chuck started in emergency medicine in 1967 and was one of the first paramedics trained in his state in 1974. Herbkersman says he can’t help, and continues to dispute NADA, asking, “Are we giving them the fullness of the medicine if they only did NADA points?” He recalls one formative experience as an acupuncture student which guides his vision for addictions treatment. Decades ago during an intern stint at an addictions program in the Southern California beach community of Marina Del Ray, he was permitted to needle full-body acupuncture points. Herbkersman’s ignorance of NADA calls to mind another former AAAOM president, Dr. Harvey Kaltsas. In 1993, in a letter to the highest U.S. governmental authorities in addictions treatment (including 2 U.S. Senators), Kaltsas representing himself as the AAAOM president, attacked NADA in spite of widespread support for NADA within the acupuncture prorfession (including the AAAOM). Later in the letter, he asked the federal government for $25,000 in discretionary funds to help him trail blaze a new addictions education program for acupuncturists. In the end, Kaltsas’ failure to consult NADA and other national acupuncture organizations undermined his efforts and contributed to rife and costly divisions throughout the acupuncture profession. Notwithstanding, a sober inquiry into the process by which he gathered consensus for an anti-NADA bill within the acupuncture guild is warranted. Guidepoints has submitted a request to the AAAOM asking for board meeting minutes when their endorsement of Herbkersman’s anti-NADA law was discussed. At press time, no response was received. Herbkersman was a board member during this time, before his organization merged with the Alliance. (Editorial note: the Alliance had been the pro-NADA national acupuncture organization from 1994 to 2007, when it merged with AAOM to form the AAAOM.) NADA supporters have waited to see if the new AAAOM would benefit NADA (See Guidepoints, March 2007). Consensus or not, could the Herbkersman bill be dismissed as a misguided policy of the past, a mere shadow of the notorious “old guard” of the acupuncture profession? Several senior guild leaders resigned last spring. Various sources from inside and outside the guild leadership tell Guidepoints that today the AAAOM is not anti-NADA. As new AAAOM leaders take the stage in 2010, NADA president Kenneth “Ken” Carter encourages the AAAOM to support ADSes like Chuck Bagley. Meanwhile, the AAAOM has clarified how they support legislation. Executive Director Rebekah Christensen relays that AAAOM work is only done on a state-by state basis, from directives of state acupuncture groups, irrespective of how it affects NADA. Therefore fertile testing ground for how the AAAOM or any acupuncture group supports non-LAc ADSes remains in key contested states. NADA sends our thoughts to the family and colleagues of Phillip Oliver, Sr. In the third part of an investigation into turf protectionism in South Carolina, Guidepoints discovers that again Rep. William Herbkersman effectively stood against NADA in 2008 when Bill Wells attempted pro-NADA legislation (S 799). Two years later, his brother Martin Herbkersman cites a severe shortage of jobs for LAcs, while NADA advocates in other states report that ADS-friendly legislation creates jobs for LAcs. “Our hearts go out to the disadvantaged, to the poor, to those with little or no access to health care.” From a prayer read to South Carolina Senators before they ratified the pro-NADA law, S 799, May 29, 2008. With Acu Detox Specialists sidelined in South Carolina, opportunities for acupuncturists are also limited. One half of all acupuncturists are out of work, estimates former acupuncture guild leader Martin Herbkersman. He avows that getting acupuncturists (LAcs) jobs in public health would happen if national legislation were passed to authorize Medicare coverage for acupuncture. For 17 years, guild leaders of the American Association of Acupuncture and Oriental Medicine (AAAOM) have ventured to do this, but haven’t achieved it. Without waiting for them, NADA advocates–both LAcs and non-LAcs–have for 25 years opened the door for acupuncturists in public health in several states. For example, one of the most conservative acupuncture communities in the country–New Mexico–supported a pro-NADA law in 2001. In turn, they created 16 new jobs for acupuncturists to work as off-site “general” supervisors. 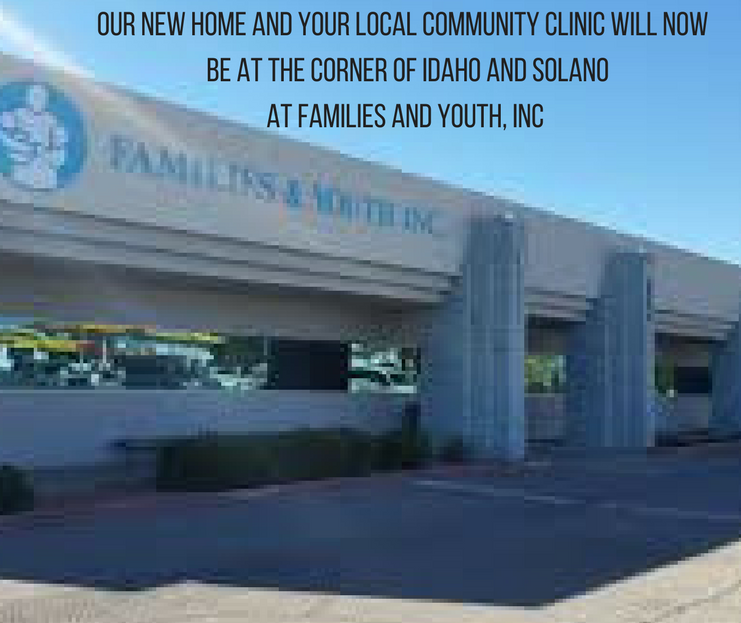 Today, nine years later, 20 mostly rural public health programs–each relying on the New Mexico Department of Health’s (DOH) assistance–depend on Acu Detox Specialists (ADSes) to offer acu detox to thousands of low-income clients each year. The state can’t afford to hire licensed acupuncturists to do all the needling, DOH officials report, but instead prefer to utilize existing NADA-trained staff as a cost-effective acu detox delivery model. Funding is also tight in the Southeast. South Carolina state budget cuts recently led to one premier detoxification program in Spartanberg to close. Keeping existing addictions services available “is a feat in this economy,” explains Keystone Executive Director Janet Martini. In 2009, Keystone provided addictions prevention, intervention and treatment for 127,000 South Carolinans “regardless of ability to pay”–no small feat. Someday Janet hopes to use her already NADA-trained staff to add acu detox to their menu of services, but can’t afford to hire an on-site “direct” supervising LAc as mandated by the 2005 Herbkersman anti-NADA law (H 3891). NADA activist Bill Wells set forth to change this. Hope of NADA outreach in 12-step groups, prisons, a juvenile drug court and other public health programs also depended on him. Wells brought his concerns to the acupuncture committee. He made personal pleas to the chair, Martin Herbkersman. As NADA’s point person in South Carolina, Wells’ case was strong: no Acu Detox Specialists (ADSes) had been able to practice in the two years since the Herbkersman anti-NADA law passed. Herbkersman made his case clear to Wells: he told him that only LAcs should be able to perform acu detox, reports Wells. Nothing less than a new law could revive NADA programs. In May 2007, Wells garnered support from South Carolina Senator Wes Hayes to introduce S 799, a public health initiative to remove “direct” supervision requirements of ADSes, hence permitting ADSes to be supervised like any other ancillary medical worker, an ADS practice that has proved to be safe in the state since 1997. His pro-NADA law would ultimately fail. However, records of the complex and drawn out sausage-making process of the bill reveal that Wells was not to blame. Superfluous “bobtail” amendments have long been an enemy of Republican Governor Mark Sanford; any Carolina politician knows this. And by the time Sen. Hayes’ plain and simple pro-NADA amendment (56 words; 2 sentences) arrived on Sanford’s desk, the House’s amendments had turned S 799 into sausage (640 words; including 4 unrelated amendments), subject to his scrutiny. Gov. Sanford explained that he vetoed the package because he disagreed that LAcs need to bear the title “Doctor.” The veto was overridden by the Senate. The House, however, sustained it, with Rep. Herbkersman, suddenly voting to sustain the veto. After confusing the legislative process by promoting unrelated amendments destined to sink the entire bill (which included the pro-NADA amendment), Rep. Herbkersman switched to kill the bill in June 2008. Typical acupuncture students, upon graduation, are burdened with over $100,000 in debt to pay, says another local LAc, William Hendry. He points out that NADA training is cheap for ADSes, while the cost of a full body acupuncture degree “mandates a ‘for profit’ business.” A recent survey confirms the dearth of LAcs employed in public health settings: 91% of LAcs are self employed. Conducted by the National Certification Commission of Acupuncture and Oriental Medicine (NCCAOM), the survey is less pessimistic than Herbkersman’s 50% failure rate for LAcs, but confirms the under-employment in the acupuncture profession: 39% of survey respondents work 20 hours a week or less, and 59% work 30 hours a week or less. Getting clients in the door is also a problem documented: 91% of LAcs see 10 or fewer new patients every week, while 33% see 10 or fewer returning patients per week. Today Wurzel has eight gigs as an ADS general off-site supervisor (visiting once monthly), earning $12,000 total last year in these roles–not a bad supplemental income for a LAc with a private practice. Across the state, 8 Maryland LAcs are paid to assist 36 ADSes (10 new ADS applications pending). As off-site ADS supervisors, other health professionals operate underneath their LAc license, just as medical doctors offer general supervision in the western healthcare delivery system. Because of ADS/LAc collaboration, NADA Maryland’s acu care delivery system operates in twenty public health programs, from recovering veterans in inner-city Baltimore to a dual diagnosis program in the foothills of the Appalachia. Working as an ADS general supervisor has other benefits for LAcs, as well. Due to the relationships Wurzel has built within NADA programs, today–in his private practice, The Chi Farm–he treats ADSes as well as their children, their families and their friends. Michael Bartlinski, the director at one Baltimore addictions program, believes the work of the ADSes needling the ear has “piqued the interest” of his clients–many now want to and are ready to receive full body acupuncture. As ADSes continue perform the five-point protocol, Bartlinski would have Wurzel treat his clients’ chronic pain issues.